You are at:Home»Herbs»Ferula foetida Regel. Latin name : Ferula foetida Regel. Description : Hing is useful as a digestive spice that has the additional benefit of lowering cholesterol and reducing gas. The pungent oil can be using to repel insects. Asafoetida (Hing) was one of the most commonly prescribed herbs in the 19th century in the treatment of hysteria and for many symptoms associated with mood swings and depression,or in ayurvedic terms “Asafetida (Hing) is a grounding herb that can therefore balance an overactive, over emotional, turbulent system”. It acts on any spasmodic disorders and expels the excessive gas from the stomach. It is an excellent remedy for treating hysteria and inhaling the gum made from this herb prevents hysteria attacks. It is also used to treat respiratory disorders like whooping cough, bronchitis and asthma. 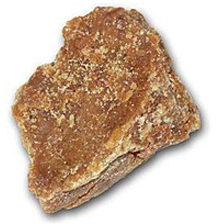 Asafoetida is used to treat nervous disorders in children. It is useful in the treatment of many problems like unwanted abortion, excessive menstruation, leukorrhea, painful menstruation, pre-mature labor and sterility. It is also given for the treatment of impotency. Recommended Dosage : Oleo-gum-resin : 125 mg to 500 mg powder; Seeds : 5 gm powder of dried seeds. Contraindication : The oleo-gum-resin is contraindicated for infant colic. Use in children is discouraged because of a potential to produce methemoglobinemia. The oleo-gum-resin is also contraindicated during pregnancy or when peptic ulcers are present.